At Amen Corner at Augusta National, it’s April all year round. At least that’s what Masters tournament officials would have you believe based on the fabulous Masters-Game of Thrones mashup teaser video they released on Twitter on the eve of Sunday at the Masters. You see, while golf fans await the much-anticipated final round of the 2019 Masters Sunday morning after a sleepness night (Tiger! Frankie! DJ! Brooks! ), the rest of the planet is impatiently waiting for a different drama premiering Sunday night. That would be the final season of HBO’s hit show Game of Thrones, which debuts Sunday at 9 p.m. 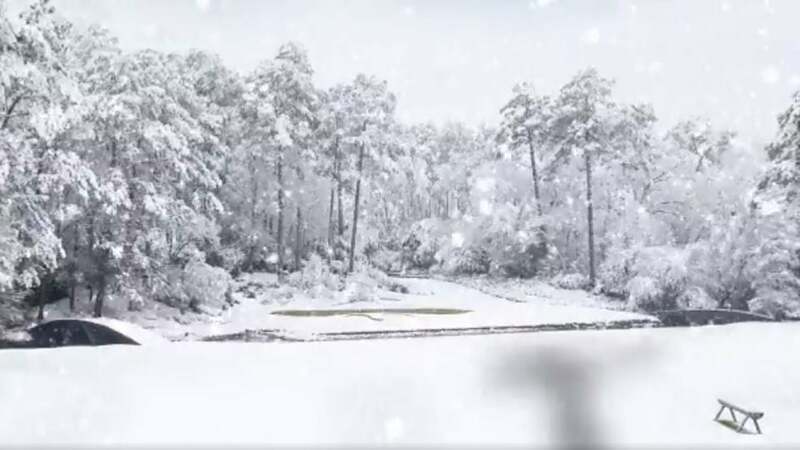 In the teaser video released on the Masters Twitter account, the familiar scene of Amen Corner is blanketed in snow and ice, in a nod to Game of Thrones on the show’s big night. It even features the show’s gloomy and memorable theme music (and don’t miss the shadow of a dragon flying over the par-3 12th). Will Tiger Woods summon his powers and sit on the Masters throne Sunday afternoon? At least one fan thinks so, who responded with the following Tiger Woods/Game of Thrones photoshop job. Thanks to the thunderstorms expected in Augusta Sunday afternoon, tee times were moved up significantly for the Masters final round. But at least that means there will be no conflict for those of you who want to watch both Tiger at Augusta and Jon Snow at Winterfell. Woods tees off the in the final group at the Masters Sunday morning at 9:20 a.m. ET, long before Game of Thrones kicks off almost 12 hours later.